To begin, a cliché (albeit one that’s true): a great first scene will tell you how to watch the rest of the movie. Not necessarily who is important to the story, or what the major themes will be, but instead rhythms, what to look for in a shot, and ways to interpret meaning (which is different from meaning itself). This is as true of Hollywood as it is of art cinema, though we often don’t need to learn anything new with most Hollywood films — many cinematic norms (continuity of space being its foremost task; direct chronological order, unless signified, being secondary) are so familiar to us that their intrinsic value (not to mention degree of difficulty to accomplish) are rarely remarked upon. When any film begins with an establishing shot, we’re cued in that the filmmaker wants to position us in the space their narrative will begin. Art cinema — a term I use very vaguely, given its tricky historical ambiguity (as well as contemporary debates) — is often termed as such for its use of non-intrinsic cinematic modes of telling a narrative. That is, in order to set up the various formal techniques a film will use to deliver a story (or the resemblance of one), it will need to make us self-consciously aware of those techniques, creating what David Bordwell refers to as schema-based knowledge. And thus opening scenes can tell us a lot about how to watch art cinema. 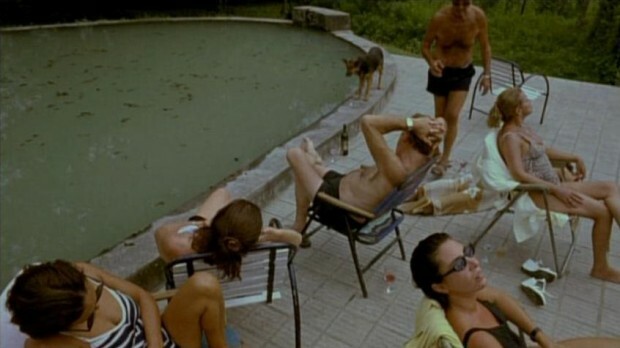 A great example of this can be found in Argentinean director Lucrecia Martel’s debut feature, La Ciénaga, which is now out on Criterion Blu-ray. With only three features (The Holy Girl and The Headless Woman are her follow ups), Martel quickly established herself as one of the most radical narrative filmmakers working today. If you only watch the first four minutes of her debut work, a darkly comic vision of a bourgeoisie family, it is immediately apparent how brazenly exciting her methods are, creating her own cinematic language to teach us how and what to watch. La Ciénaga starts with something that could be described as an establishing shot, but it’s really hard to call it that. It places us in the titular swamp locale with a shot of the sky and trees, and then cuts to a row of red bell peppers, with a brief glimpse of a wall, which is the closest she’ll come for quite some time to establishing the swamp and the home as related spaces. After a credit, Martel cuts to a glass of wine being poured — a key motif that will be repeated again and again — in a close-up where we’re allowed to see the pourer missing their glass with reckless care. As the camera follows a hand picking up the glass, we get the briefest glimpse of this character, Mecha (Graciela Borges) — but more of an emphasis on her arm mixing the ice and wine, and especially the sound it makes. When she cuts to another woman also sipping on wine, it is this rumbling sound that continues to dominate the soundtrack. La Ciénaga will continually emphasize sound, both onscreen and off, with shots often taking shallow-focus material and building the world through these micro-images. This is taken to an extreme by the next series of shots, which begins to establish Mecha as one of many participants in this afternoon binge, as we see them personally dragging their lounge chairs to an undetermined spot, each with a glass in hand. The sound of the chairs against the concrete bellows on the soundtrack, a first of many jarring sounds that will be heard throughout. These shots do something more, however: they put emphasis on the body. And these aren’t just any bodies, but older bodies. They have fat, wrinkles, hair in places one wouldn’t want hair. Much of La Ciénaga will feature bodies and their slow decay (cuts, bruises, or just loads of dirt), but it also raises the generational issues that will define much of the narrative tension. The next shots establish two young characters: Mecha’s daughter, Momi, who is sharing a bed with one of their maids, Isabel. We get our first line of dialogue from Momi (“Thank you, God, for giving me Isabel,” which, in terms of narrative cues, suggests that this relationship will be tested), and our first close-up on a face. Momi’s pale white face suggests her ingénue and clean status, but is also contrasted with the slightly visible, darker complexion of Isabel, building the racial tensions that will play out through Mecha’s distrusting eyes. So we could say things are becoming clearer — we have two sets of people, presumably occupying similar spaces (we can connect them via the constant sound of the grasshoppers in the swamp) — and a visual conflict. But what happens if we push just a bit further? We get a two shot at medium distance of Mecha (who we now recognize because of the same glass of wine in her wavering hand) with her husband, Gregorio. The shot ends when she asks, almost as if into the air, who Joaquín is up in the mountains with. The film swiftly answers that question, first by cutting to an establishing shot of the mountain range (which helps us understand how isolated this home is in comparison to the city we will later see), to a shot of dogs and boys running through the forest with a gun. A quick succession of shots don’t so much locate the boys, who are photographed entirely from the back, but their prey: a water buffalo trapped in the mud. These close-ups are finally made clear through a deep-focus shot that creates three planes of space — the buffalo in the mud on the furthest plane, a pale-complexion boy in a t-shirt and jeans with the gun in the middle, and three boys of darker complexion in the extreme foreground, another racial divide. In this shot, we can see Joaquín is somewhat ambivalent about taking the shot; Martel edits to a close-up where we see him quickly turn his head back to the boys, and then match cut that moment back to Mecha turning her head back toward the camera, a stunning flow of rhythm. It also almost creates a gravitational pull that Mecha has toward everyone around her — she is the center of the universe, and all power will center toward her. By this point, we’re only four minutes into La Ciénaga, which will go on for about 95 more before ending, and we haven’t even established the ostensible co-protagonist, Mecha’s cousin. But if you look closely, you can see that much of what will infect this social-class satire is set up, as well as in the rhythmic pace of Martel’s choice of micro-specific shots. In an interview included on the disc, Martel explains her fascination with Van Gogh: “The brushstrokes mark out a rhythm, and every object has its own rhythm.” Thus, spatial coherence is broken into individual pieces that rely on objects and gestural intuition to focus character while still building space. Material bodies will play an important role in defining character as much as any dialogue. The difference, however, is that it’s easy to pick this all up when viewing the film shot by shot, and much harder when experiencing La Ciénaga for the first time. But never impossible; Martel doesn’t expect viewers to pick up all this material as much as find those rhythmic dynamics. Because once you catch her beat, the discoveries within her frames are truly unique. 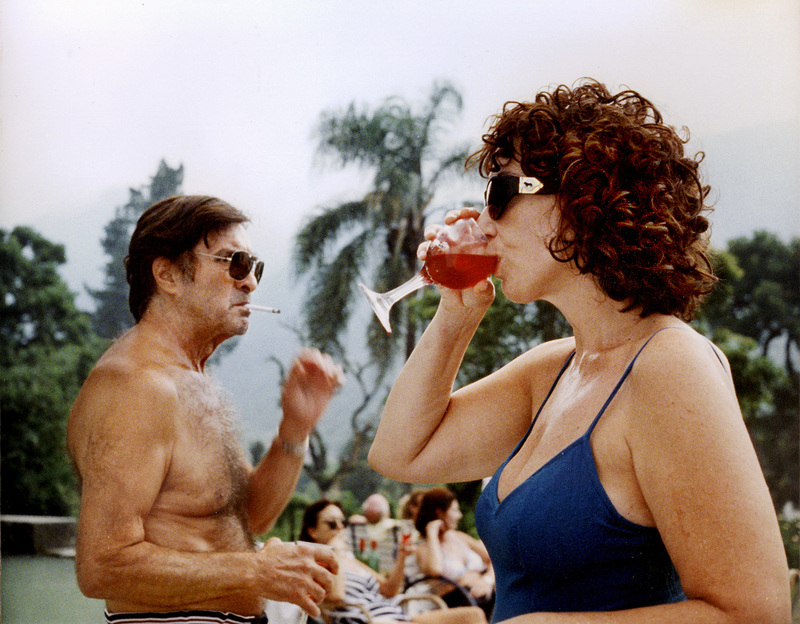 La Ciénaga is now available on Criterion Blu-ray.